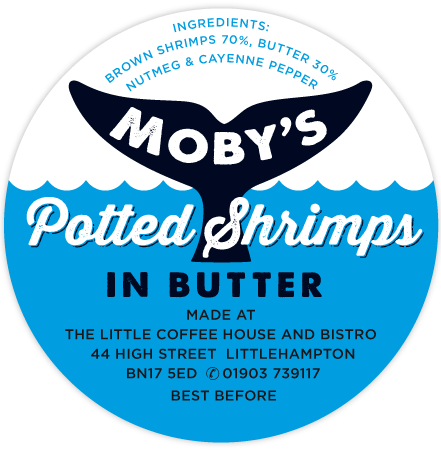 A simple packaging project for the Little Coffee House & Bistro in Littlehampton for their own Potted Shrimps, which they've branded as Moby’s. I was asked if I could design a label that he could initially print on a standard ink-jet printer. 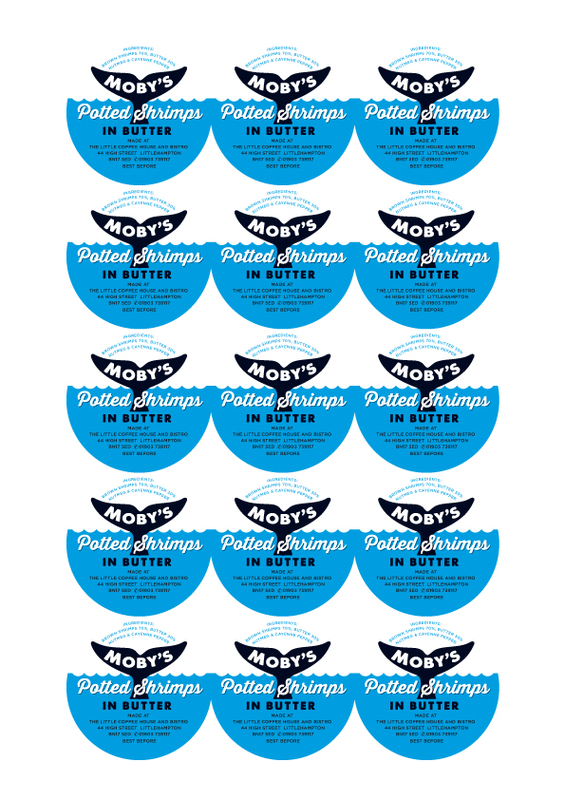 The solution was an A4 PDF with editable form fields for the Best Before dates, which prints on a standard sheet of 51mm round labels.